According to Automotive News, GM's once-outgoing product czar's decided to stay on with the "New GM" as head of a newly-consolidated marketing and communications empire. Apparently, his Letterman interview was just that good. 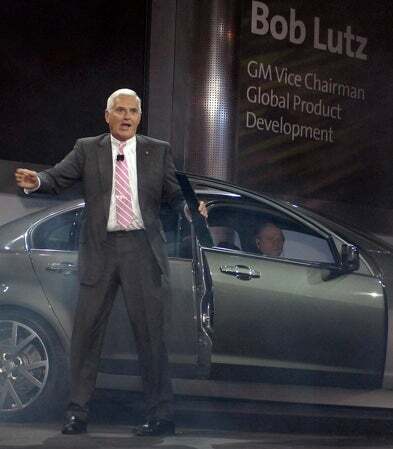 Bob Lutz To Retire At End Of 2009! We called GM PR staff for a comment and got nothing. GM spokesman and chief communicator Steve Harris also declined to comment. Bear in mind this report comes after the The Wall Street Journal reported earlier Lutz would stay, but didn't identify his role.